The team who made these new Thunderbirds episodes were working on them for freaking ever, and even obtained the services of one of the original puppeteers and, with episode three, one of the original series directors, David Elliot. That’s an awful lot of work for ninety minutes of entertainment, but they saved the best for last. “The Stately Homes Robberies” is a visual triumph. As an original story, it’s a goofball throwaway. I think that “stealing the crown jewels from the Tower of London” must be every bit as much of a hoary chestnut in British children’s entertainment as “stealing the gold from Fort Knox” is in American kidvid, and you really have to put your brain in neutral to accept that the baddies could get away with any part of their plan, much less its climax. But just look at it! I’m not suggesting that the ice caves in the previous story didn’t take a lot of work to create, but they’re not on the same level as the remarkably detailed rooms full of art treasures in this one. The villains, Mr. Charles and Dawkins, look so absolutely perfect that they surely must have been locked in an airtight vault since 1965, right? I love all the silly tech, it all looks like the original designers made every nut, bolt, and colored light. What a challenge this must have been: in 1965, the designers were imagining the world of a hundred years in the future. Today’s designers had to imagine what designers fifty years ago would have predicted. As with the previous adventure, this one’s bulked up a little with some extra material involving the Tracy brothers. The original 7-inch record was strictly an adventure for Lady Penelope and Parker, but this adaptation finds a way to include Virgil, Scott, and Gordon for a few minutes. It’s absolutely great, escapist fun, a terrific and silly half hour that we enjoyed very much. Daniel, you may recall, loves Thunderbird 4 most of all the vehicles, and not only does this episode include the submarine briefly, it opens with an absolutely mammoth explosion when one of the stately homes is blown into pieces by the villains. If your own five year-old, real or inner, doesn’t love this, something may be wrong with him. To Stephen La Rivière, Justin T. Lee, and all the rest of the Pod 4 crew, thanks enormously for all the work you put into this project. Very best of luck to you all in your future film and television work! 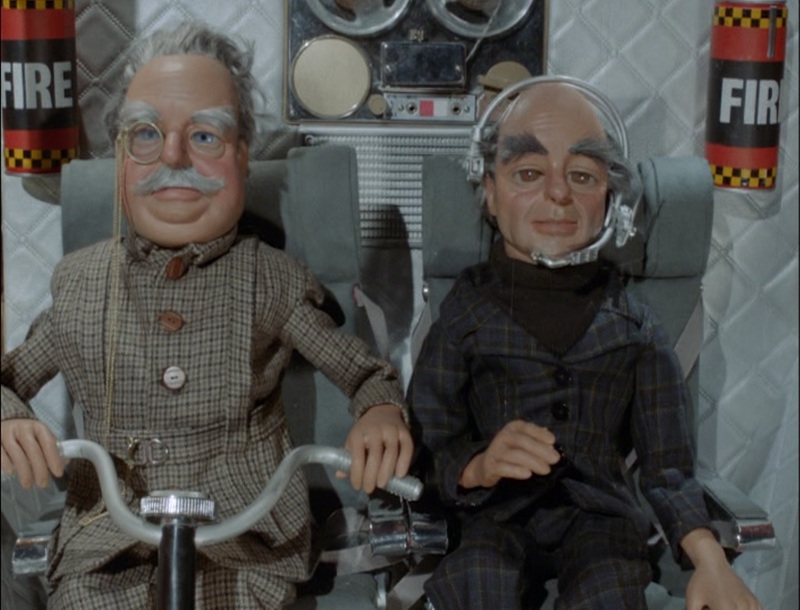 There’s more Supermarionation in the future for our blog! Stay tuned for more action later this summer!